In the future, the most successful brands will be those that make the most positive contribution to society beyond just providing good services and products. 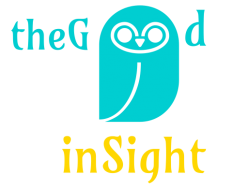 68% of world’s consumers agree, according to Ipsos Global Trends Survey. 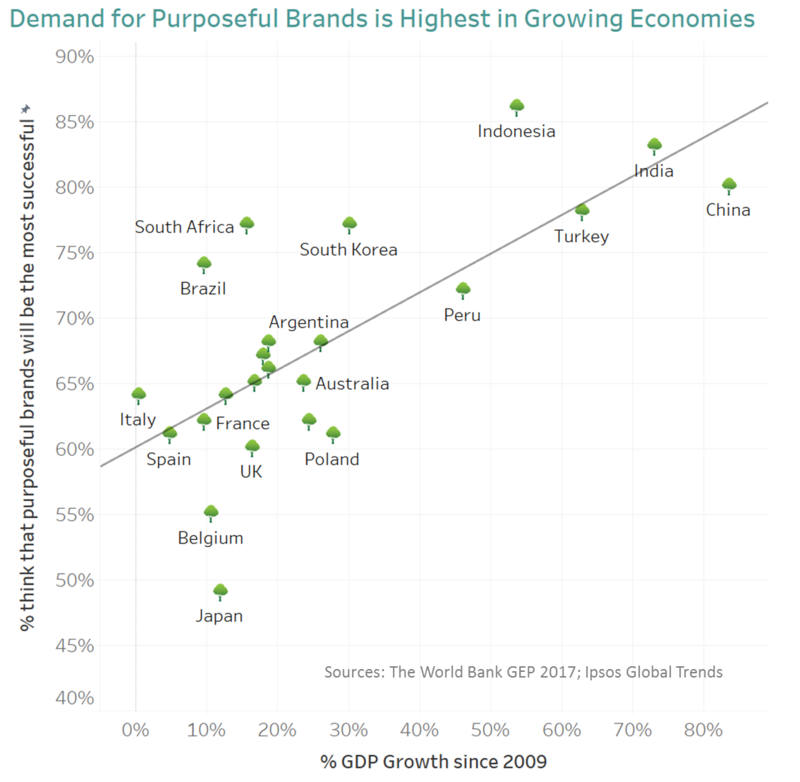 The percentage of people that think that purposeful brand will be the most successful in the future, is higher in the fastest growing economies, where issues of sustainability and employment rights have a higher profile and urgency than in well-established economies of the past. Younger people also want to purchase from and work for companies with strong values and ethics. Earlier I wrote that quality, price and emotive advertising were no longer enough, in order to future-proof themselves brands needed innovation and purpose. And it’s obvious that consumers of the future care about brand purpose whilst young companies (Tesla, Patagonia, Lyft, Toms) built purpose into their DNA. Nina Lovelace, co-founder of 10 Digital Ladies, whom I admire, and some people I speak to ask whether “nice” is the right word to describe leaders, who deliver for their organisations, whilst being, well, nice to people. Sarah Sanderson, Managing Director of Insight Solutions at Kantar reckons that “nice” might be perceived by some people as a little “bland” because even school pupils are often told to use richer and more precise adjectives. One extremely nice leader to whom I spoke, said he didn’t want people calling him “nice”. He sees himself as a “genuinely interested” person. Interested in the industry he works in, fascinated by trends and most of all, interested in people he works with, their ideas and the way they go about implementing them. He is genuinely interested in what people have to say and always finds the time to listen to them. He says that there is “personal nice” (how was your weekend, what did you think of the latest Netflix series, etc.) and “business nice” (what interests you most at the moment, how do you think we should respond to this trend, tell me more about your idea). 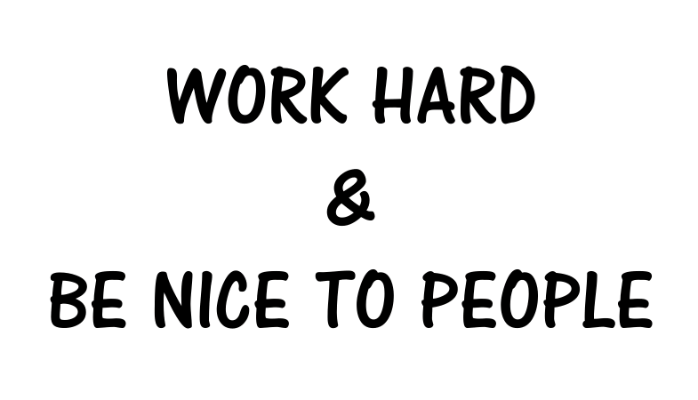 Both are important, but it’s crucial not to be neglecting the “business nice”. He also happens to be a rugby coach and draws parallels between coaching styles and leadership. Autocratic styles of “Tell” and “Sell” mean that players would do exactly as the coach wants, but the outcome is limited by the coach’s knowledge. Whereas democratic styles of “Ask” and “Delegate” allow the coach to utilise the imagination, knowledge and ideas of the whole team. You just need to set the scene by saying “we have a big game tomorrow” and let the team come up with a plan. 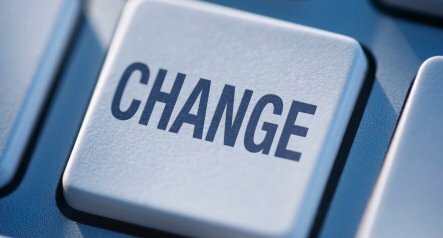 It is also important to alter styles depending on individuals, situations and goals. The above mentioned leader says 90% of people respond better to his “listen, inspire and delegate” approach and less than 10% prefer to be told. I whole-heartedly agree. Another sporting analogy I thought of from my own experience is that effective leaders cultivate a sense of a team, and reward team effort, rather than setting individual team members to compete with each other, thus spoiling the working environment. I think we all agree with the idea of “nice people in leadership”: with the many advantages of a people-led style, the importance of listening to people and treating them like humans and not assets or cogs in an organisational machine, showing respect and appreciation, allowing them to do what they are passionate about and achieving their potential. As for the name, what do you think is better than “nice people in leadership”? Maybe “good leadership” (although like “nice” could be a little bland), “thoughtful leadership” or indeed “interested people in leadership”? Let me know, I am genuinely interested.